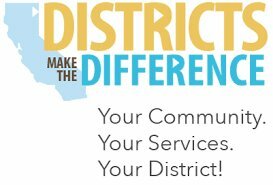 Special Districts are indeed special! As a form of local government, created by a local community, special districts are formed to meet specific needs within specific boundaries. Those specific boundaries can range from a single neighborhood to a vast area and are generally relative to the type of services being provided. Nearly 85% of California Special Districts perform a single function such as water, wastewater, fire protection, health care, or cemetery management. But some Special Districts, like Rincon Water, provide two or more services. Each Special District is accountable to the voters within their communities through an elected Board of Directors and the customers who use the services. That means that Special Districts are more responsive to their constituents and small groups of citizens can be quite effective in influencing Special Districts’ decisions. As a Special District, Rincon Water currently provides water service and fire protection service within its jurisdiction. In 2019, wastewater service will also be included as another service provided by Rincon Water for a community located in the southwest corner of our service area.